OEM motor drives often must meet demanding specifications. Invention House 3-Phase variable frequency drives (3PD) are designed to survive ambient temperature range from -45 to +55c and withstand 40g shock and 2g rms vibration. Drive control is facilitated through standard terminals or Modbus. 3PD Input/Output Configuration: Single or 3 phase input, 3 phase output. 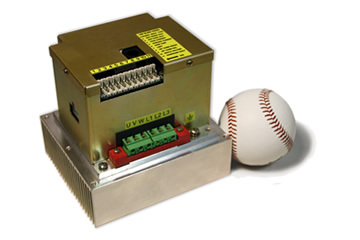 Our 3-phase VFD is available with a flange for bulkhead mounting. Cooling requirement is minimal - just 5 cfm across the heat sink fins. 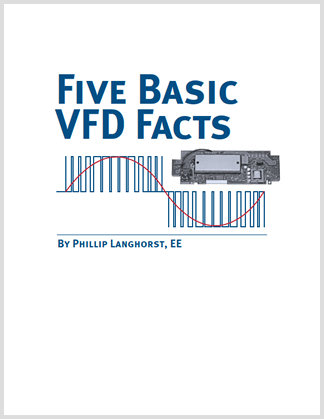 Seeking a Custom 3 Phase Variable Frequency Drive? If a standard 3-Phase drive does not fit your requirements, let us design and build a custom 3-phase drive to meet your needs. 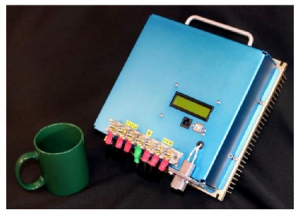 Contact us today to learn how Invention House can design a VFD to meet demanding horsepower, power density and control needs. Our custom engineering services are competitive and we work fast. We offer a variety of options from design-only to design and manufacture.